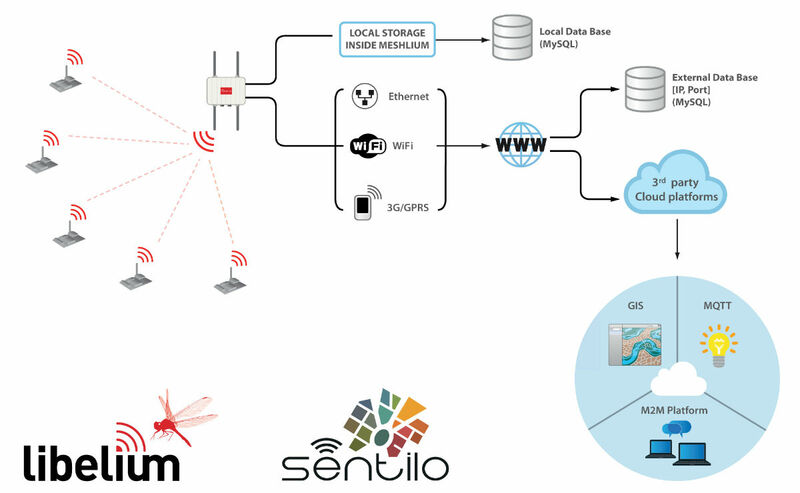 SAN MATEO, Calif., CHICAGO, BARCELONA, and ZARAGOZA, Spain—June 23, 2014— Libelium has included the Sentilo open source software platform in its core product line for Smart Cities deployments, to link with Libelium’s Waspmote sensor network device and the Meshlium Internet gateway. Sentilo is the first Smart Cities software platform developed by a municipality, based on experience and knowledge of the requirements of a large city such as Barcelona. The Barcelona City Council is running a Smart Cities project to monitor noise and air pollution throughout public works in a large public square in Barcelona, deploying Libelium’s wireless sensor devices and Sentilo’s software platform. Waspmote sensor devices transmit data to the Sentilo Cloud platform via ZigBee, Wi-Fi or 3G/GPRS through Meshlium. Libelium’s existing customers can benefit from this new functionality with a free upgrade of their Meshlium software. Libelium will be demonstrating the Waspmote sensor ecosystem, Smart Water and Smart Cities solutions at Sensors Expo & Conference held at the Donald E. Stephens Convention Center in Rosemont, Illinois on June 24-26, 2014, in booth #814.